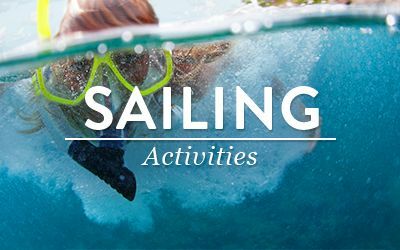 Why charter with Belize Sailing Vacations? 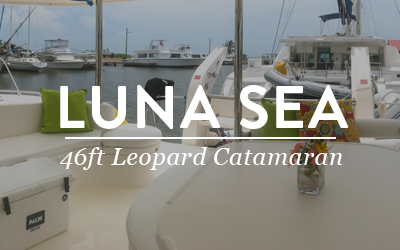 We are a family-owned, full-service yacht charter business dedicated to providing the best all-inclusive sailing vacations in Belize. With over 150 five star trip advisor reviews, it’s clear why our guests come back time and time again! We are proud to have some of the best crew in the industry. 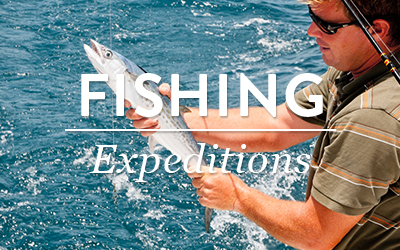 Our captains and first mates have years of sailing experience and intimate knowledge of Belizean waters. Combined with extensive knowledge of Belizean history and culture, they are always ready to share their experiences with guests. 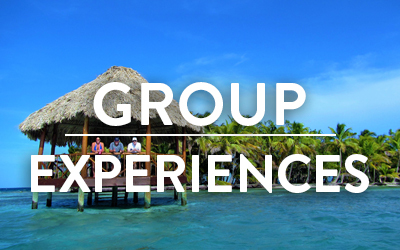 Our operational team are all based in Belize, bringing years of Belize tourism experience to enhance guest experiences and to tailor make itineraries to best suit guests’ tastes and preferences. 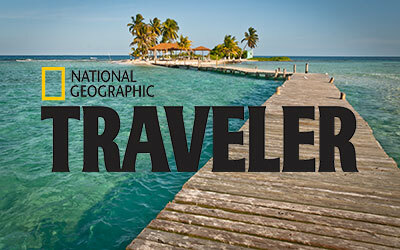 In 2001, Cliff (Big Cliff) and Sherry Wilson left their professional careers and lives in the San Francisco Bay Area to live on their Lagoon 47, ‘Aubisque,’ in Belize. Racing enthusiasts with over 30 years of experience cruising everything from 505’s to 70 ft Maxi’s, some of Big Cliff’s sailing experiences include several Transpac Yacht Races from California to Hawaii, and Sherry is best known in the yachting community as making history as the first female skipper with an all-women crew in the San Francisco Big Boat Series. 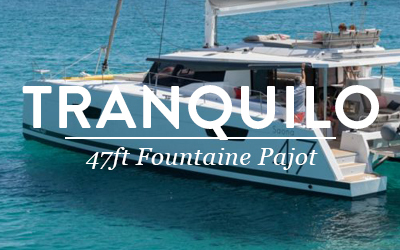 After hosting multiple friends on board their new home on the water — sailing, snorkelling, gourmet dining and entertaining — one of their guests declared “you can make money from doing this!” So Aubisque Sailing Charters was promptly born. Famed for their elaborate hospitality, excellent cuisine (as featured in the Travel Show and as members of Chaîne des Rôtisseurs), and passion for the waters and sailing, they established a 5-star reputation in the Caribbean charter industry and created the legacy for what followed. Cliff, Jr., or ‘Cliffito,’ worked in Belize both with his parents and as a skipper and delivery captain for Moorings before moving back to the United States to work in the ski industry for several years. 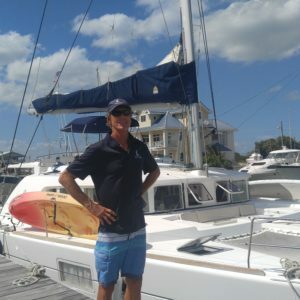 He returned to Belize full-time in 2009 and expanded the business, working with multiple catamaran owners to create a yacht management and charter program to bring new boats into the fleet, as well as establishing the business as an ASA (American Sailing Association) school. His wife Rachael joined the team in 2011 and oversees guest services, charter operations, and marketing, along with running her travel concierge business ‘Absolute Belize’. 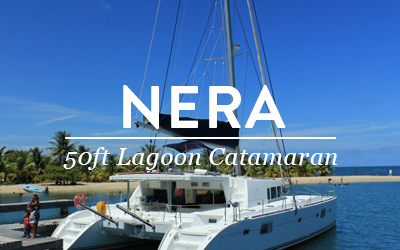 The metier of the business was founded on elaborate hospitality, charter professionalism, and unforgettable Belize sailing experiences, which has continued to this day. 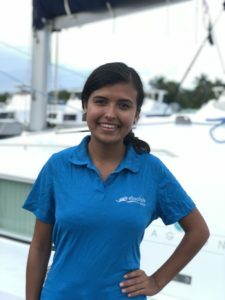 With seven catamarans in the fleet, a team of 20 amazing individuals and a 5-star reputation, Belize Sailing Vacations is proud to be the leading all-inclusive luxury charter operation in the Western Caribbean. 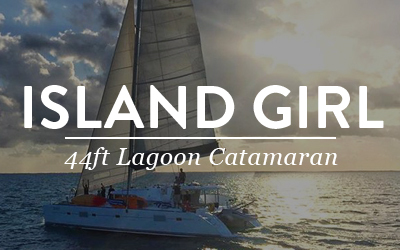 Born and raised sailing in the San Francisco yacht community, Cliff has been racing since 1980 with sailing experience ranging from the Pacific to the Caribbean, including the Bahamas, BVI’s, Gulf of Mexico and the Rio Dulce of Guatemala. Cliff’s mantra is “ski boots or barefoot!”, so throughout his career Cliff has headed up mountain operations for Mount Rose Ski Resort in Lake Tahoe, worked as an environmental consultant and has captained charter sailboats throughout Belize over the course of the last 20 years. 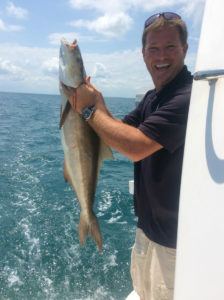 When he’s not at the helm, in an engine room or teaching ASA instructional classes, Cliff loves to scuba dive, spear fish and entertain guests. 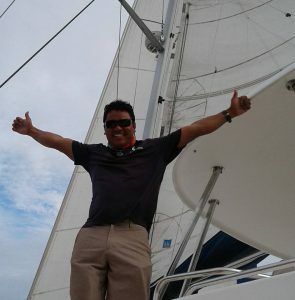 Some guests have returned 6 times to Belize Sailing Vacations with Cliff being 1st on the top of their request list! Rachael moved to Belize in early 2009 after a 10 year corporate marketing career in London and a six month solo travel tour of South America. 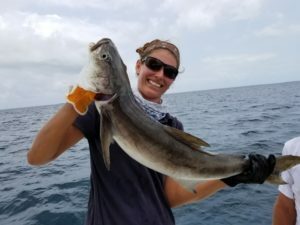 Before her travels, Rachael worked as a marketing and innovation manager for a luxury food company, so brings her passion for gourmet cooking and spirit for adventure to Belize Sailing Vacations. 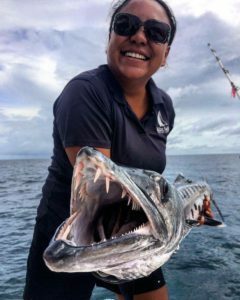 Rachael loves playing host to our guests, sharing her experiences and ensuring everyone has the ultimate Belizean adventure. 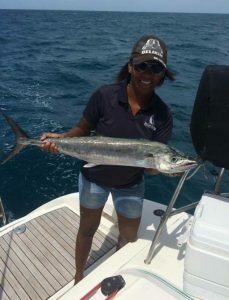 Rachael also owns our sister business Absolute Belize, providing travel planning services and countrywide knowledge and expertise for guests opting to spend time on land as well as the water. Ruben hails from Ambergris Caye, one of Belize’s key tourism destinations. He’s been involved in the tourism industry his entire life, working as a master scuba diver and fisherman for nearly 20 years. 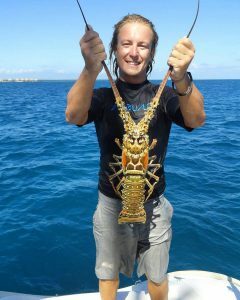 He owns his own business specializing in private dives, snorkeling, and all types of fishing (reef, spear, and deep sea). Ruben brings a wealth of experience to the BSV family, working as one of the company’s main captains for the past four years. In addition to his captain duties, you’ll find Ruben leading his guests on snorkel and dive adventures as well. 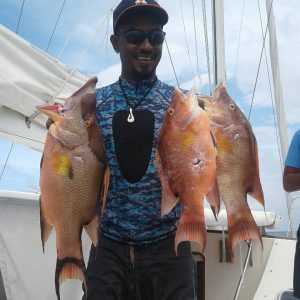 And, when he’s not on charter, Ruben remains actively involved in all aspects of Belize tourism, serving as a director for the Belize Tourism Industry Association (BTIA) and a Tour Guide Director for the Tour Guide Association in San Pedro. Jesse is from Spokane, Washington. Growing up, he spent more time hiking and skiing mountains than sailing, but as soon as he could he left the frosty island northwest to pursue his dreams of living and working at sea. First, he worked as a dive instructor and later on as a sailor. 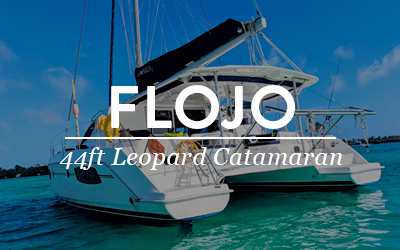 Jesse has been captaining catamarans for three years in places like Hawaii, Guadeloupe and the Abacos. He starts his second season here with Belize Sailing Vacations in Belize. During his time off, you can find Jesse kitesurfing, riding his bike, or searching for the next mountain to fly off of! Daniel is from San Pedro, Ambergris Caye, where the ocean was his playground and the barrier reef became his office. 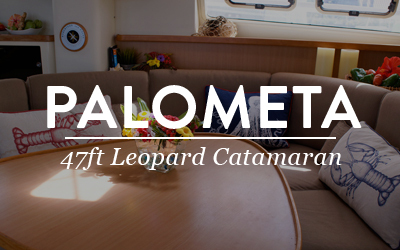 He has been a licensed tour guide for eight years and has been captaining catamarans for four years. Daniel has been a captain with Belize Sailing Vacations for two seasons and brings a wealth of adventure, hospitality and fun to your charter. He’s also known as ‘Dead Shot Danny’, as he is a legendary spear fisherman and free dives to 60ft to deliver your catch of the day! 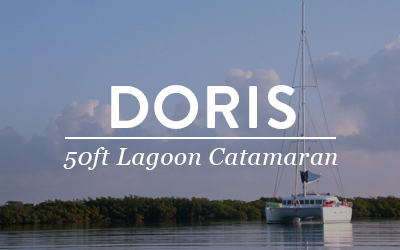 The ocean is Captain Dave’s playground and life, having been fortunate to begin sailing Hobie cats as a child and moving on to own monohull yachts and then Lagoon catamarans, which were his homes and livelihoods in the charter world. Dave is an outgoing people person, having worked in the very ‘face to face’ profession of Optometry before moving on to captaining charters in amazing destinations including the British Virgin Islands, Puerto Rico, the Turks and Caicos, Mexico, Guatemala and now Belize. In addition to sailing the azul Belize waters, Dave has some interesting and fun accolades under his belt, including being the co-author of “The Captain’s Guide to Hurricane Holes of the Caribbean and Bahamas”, completing the Hawaiian Ironman and being named top beach guard lifeguard in Florida. With Captain Dave, you can always be assured of safety, experience, adventure and fun! Originally from Germany, Sarah has had a passion and thirst for traveling throughout her whole life. 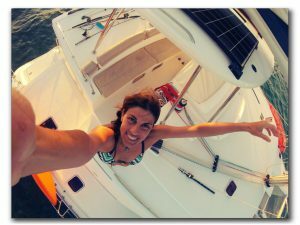 Always being connected to the ocean through her love for surfing, her first sailing experience was an Atlantic crossing from Europe to the Caribbean. 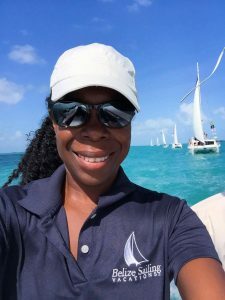 That journey awoke her interest in sailing and ever since then she has lived, worked and sailed on a variety of different boats, from luxury yachts to traditional Tall ships. Her heart, however, belongs to classic wooden boats and when she is not working with Belize Sailing Vacations, you can find her in the boatyard in Guatemala restoring her own pretty wooden boat “Alani“. 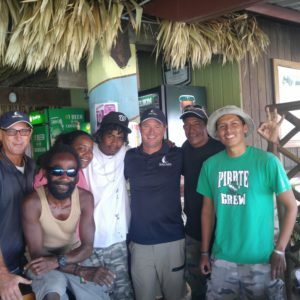 Hailing originally from the deep south in Punta Gorda, Manuel has been involved in the tourism industry for over 20 years, working as dive master, tour guide and fisherman, principally based on the northern shores of Ambergris Caye. 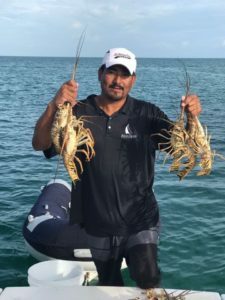 Manuel has been a catamaran sailing captain for over 10 years and in addition to his charter duties, you can look forward to his killer conch ceviche, the stuff of legends, in addition to lobster spearing expeditions, epic snorkelling and more! Kainie has been chef for Belize Sailing Vacations since early 2014. 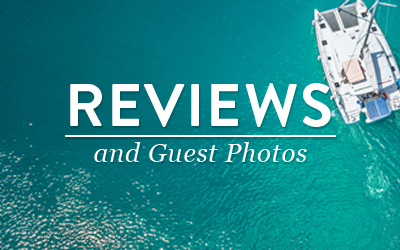 In addition to providing guests excellent meals on every charter, she also makes the effort to add the additional touches and creates an amazing vacation experience for her guests. Growing up the oldest in a family of 5, Kainie learned to cook from an early age. At home, recipes were handed down from Grandma and shared between the aunts. That sparked her love of the kitchen, the spot her Grandma called, “el corazon de la casa (the heart of the home). As an island girl, Kainie has been in love with the Caribbean Sea and marine life from an early age. She learned to dive at the age of 12, a sport that she finds relaxing up to today. From diving, to office managing, delving into media and television production, Kainie continues to find her niche in life. 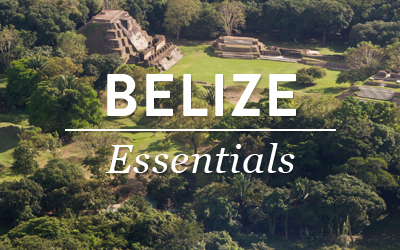 Something she is truly passionate about, though, is sharing her country to those willing to have a memorable time in Belize. That, combined with the experience garnered in her family’s restaurant, her love of cooking and hosting, Kainie is the perfect host to this wonderful country. Christina Gentle is a Belizean originally from the small northern community of Corozal. Having managed a popular restaurant and bar in San Pedro, her passion is cooking and wowing guests with her gourmet twists on local cuisine. She is also becoming skilled at spear fishing and is giving the guys a run for their money! Christie is a big people person and a gracious host to our guests, which is why so many repeat guests request her time and time again. 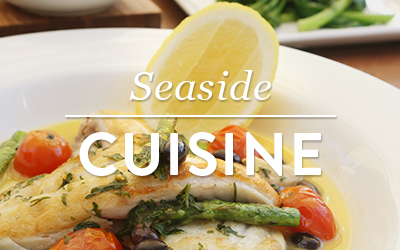 A vibrant and knowledgeable chef and first mate, Clodia comes from the very south of Belize. 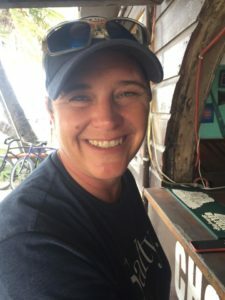 Clodia has been in the Belize tourism industry for over 14 years, working as a licensed tour guide and a PADI Dive Master. 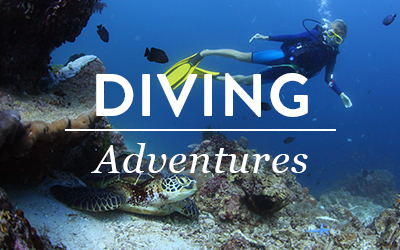 She has experience in diving and touring the Barrier Reef from North to South including Belize’s atolls. 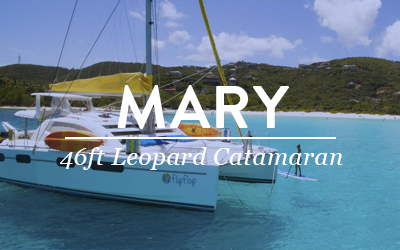 Sailing the seas is her passion, and she combines her love of nature and culture as she prepares and presents gourmet cuisine on board. 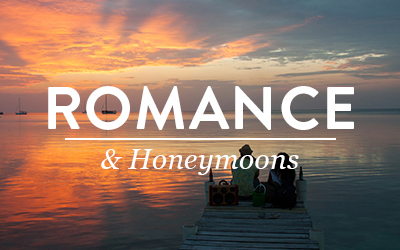 Ellen is an island resident of Caye Caulker and a warm and gracious host, chef and 1st mate. 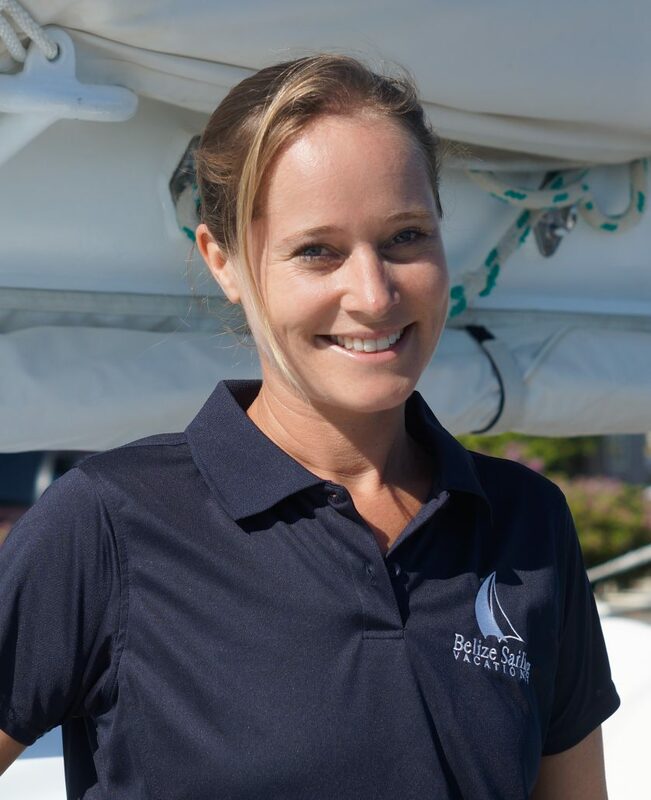 Ellen has been in the hospitality industry for many years and brings her passion for gourmet food and elegant service to Belize Sailing Vacations. Ellen is also a health and yoga enthusiast, so if you are looking for ways to work of the delicious cuisine she can certainly assist! 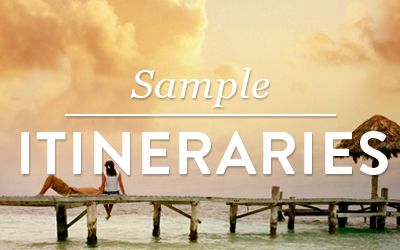 Sabrina “Sea Breeze” Arlotta, is an adventurous traveling gourmand who believes eating well is a life choice. A personal chef since 1994, she grew up in a jovial food loving family of cheerful Italians and Brazilians, experimented in her father’s restaurant kitchens as a child, and has been cooking as long as she can remember. Catering to each and every client’s individual dietary needs, wants, and craving desires, she creates menus enriching lives with exquisite eats and healthy decadent bounty. Sea Breeze also teaches Qi Gong, meditation, pranayama, yoga, world cuisine cooking and environmentally sustainable living, which she has brought to BSV to help enable multiple sustainability initiatives on board the charters. Sabrina has been traveling since before birth, speaks several languages, and has lived in 42 countries. Hailing from the spectacular colonial town of Merida in Mexico’s Yucatan Peninsular, Karla crew up in a cultured world of travel and adventure. Karla is an English teacher and enjoys the interaction of people and the discovery of different cultures. Karla is a gracious host, paying extra special attention to the details of all the BSV charter ‘touches’…. and if you indicate that you enjoy Mexican food on your personalized guest preference form, you are likely to be showcased some of the divine recipes she grew up with and learned from an early age that were handed down from generation to generation. Karla also works for our sister business Absolute Belize assisting with client itineraries throughout the Yucatan Peninsular of Mexico. Chef Cori Sterrenberg is a Canadian who found her home in Belize, living for over 9 years in San Pedro, Ambergris Caye. With a passion for Asian cuisine and having realized a gap in the market in the offerings in San Pedro, Cori opened a small kitchen serving Vietnamese and Thai cuisine. Having achieved ratings as high as #2 on Trip Advisor and a huge following, Cori expanded her culinary field to offer private chef services, taking on kitchens at the most luxurious private villas in the country, serving gourmet international cuisine for up to 20 guests at a time. 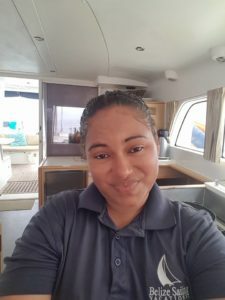 Cori is one of the longest standing members of Belize Sailing Vacations team and brings with her a wealth of culinary experience, passion and sense of adventure to our charters. She is also very fond of entertaining and sharing her Belize experiences with our guests to ensure they have the most memorable vacation. Patricia introduces our guests to warm Belizean hospitality from the first point of contact. 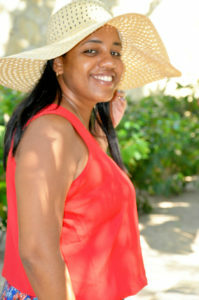 She has been in the tourism industry for over 10 years curating itineraries and managing guest relations. Patricia is very detail orientated and loves ensuring that visitors have the best experience possible while showcasing the gems of her special country. 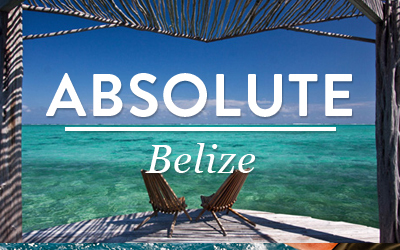 Patricia is also the Head of Trip Design for our sister company Absolute Belize and has secured partnerships with some of the best resorts in the country for guests looking for a land-based stay before or after their sailing trip. 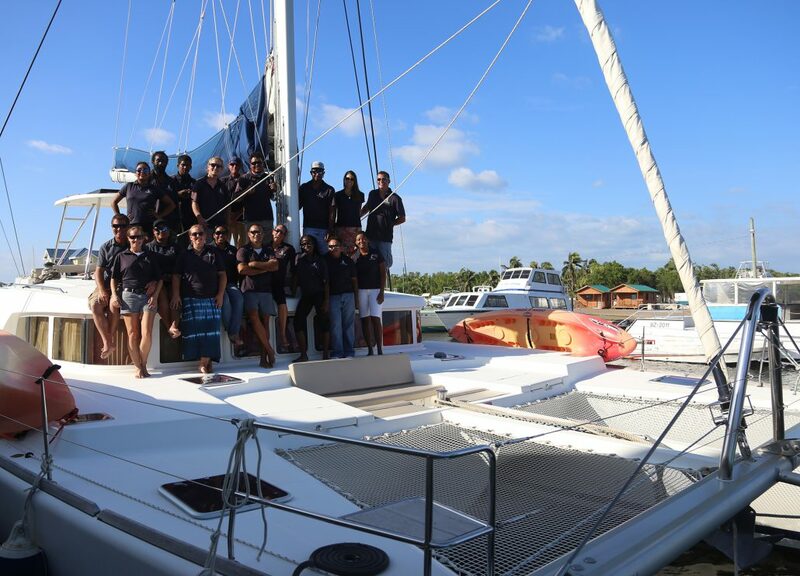 Belize Sailing Vacations is lucky to have one of the best Operations teams in the country. 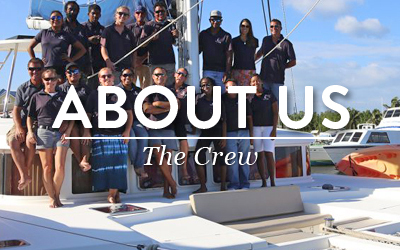 Consisting of mechanics, maintenance, systems, detailing, food & beverage and operations, the team ensures the yachts are in the best working order, stocked with everything needed for your charter and are gleaming.